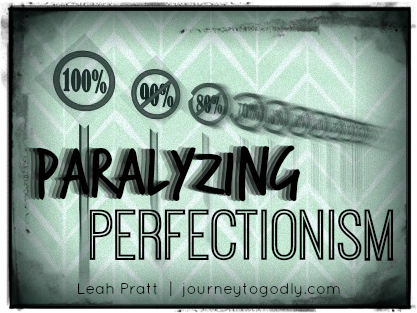 I struggle with perfectionism…the type that is pervasive and sometimes paralyzing. Now before you write me off as "type A," one who seeks to be "better than" others, or just a freak of nature - please hear me out. And take time to evaluate your own heart, as you read. For I believe there are many more closeted perfectionists among us. Today, I'm sharing part of my story over at "Reflecting His Glory." This is the blog of a dear, new friend of mine - Jacqui. I was honored to meet this sister in the faith, avid lover of reading/teaching the Word, ministry wife, and mom of 5 just this past year. From the moment I met Jacqui, I knew we were "one in heart and one in spirit," as the old hymn says. So click the pic below, and jog over to her site to check it out! This is it. My birthday. At 1:32pm today, I officially turned 35 years of age. That's weird to me. 35. A new box to check. A downward slide into 40 [snort]. I am not so concerned with being another year older. 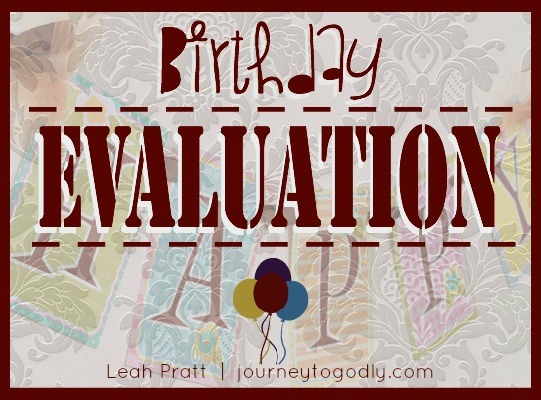 I am, however, concerned with being another year down the path toward Heaven yet nowhere near where I want to be in light of the holiness that radiates from my God. When I was small, birthdays were filled with fluttery anticipation of parties, presents, and cake. [Ohhhh, the cake!] But as I grow older, birthdays have become a time to "be still" (Psalm 46:10) at my Savior's side, to be ever so grateful for the fragile blessing that is and continues to be…my life.